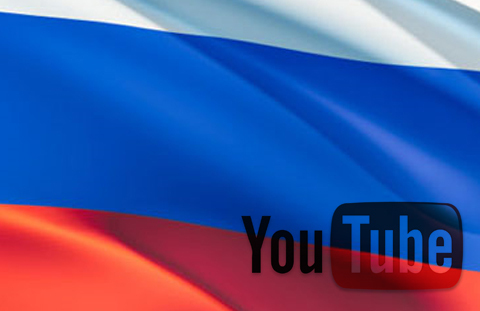 A Russian court in Komsomolsk-on-Amur has ordered an ISP to block YouTube in the country as the site carries “Russia for Russians”, a video with hateful content against the multiethnic population of Russia. Russia now joins China, Brazil, Indonesia, Iran, Morocco, Pakistan, Tunisia, Turkey, Bangladesh, Saudi Arabia, Syria, Thailand and the United Arab Emirates: countries that have banned YouTube in the recent past to block offensive material. YouTube material has also been censored in the U.S. and U.K. The court’s decision also applies to the Internet Archive and three online libraries, Lib.rus.ec, Thelib.ru and Zhurnal.ru, all of which were found to host writings by Adolf Hitler. The only difference here is that the Russian ban is aimed at keeping the country’s media, both citizen generated and social, free of racist, extremist and white nationalist content. Searching for the Russian phrase “Россия для русских” or ‘Russia for Russian’ results in disturbing videos with typical white supremacist propaganda which the court refuses to tolerate. The intension behind the ban may be justified but the ban is being slammed by a lot of quarters in the country who call banning the entire site as ridiculous. Aleksandr Ermakov, owner of the affected ISP, spoke to the media today and pointed out the absurdity of the ban. All of mankind is using this website. And providers like ours do not violate Russian law. But we are still being forced to close the website so that our users can not log on and watch the videos. This is absurd! According to this logic, we have to demolish all buildings that have swastikas on the walls. Or when two people are discussing a bomb over the phone, we have to take away the phones from all people across Russia. It was also pointed out that the decision is against the right for freedom of information, guaranteed by Article 29 of Russia’s Constitution. Maybe Russia too needs to block just the offensive material and not the whole service. Voice your opinions below.